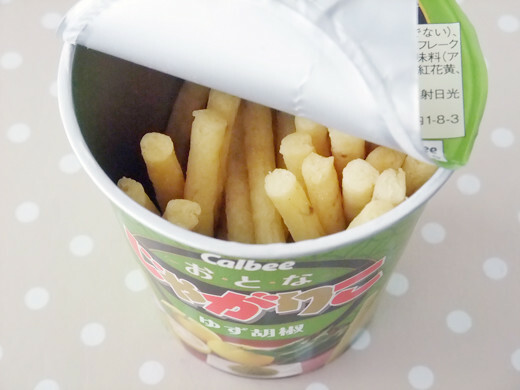 jagarico, stick potato snack is good for beer or other alcohols. Maybe because of this, sometimes jagarico season-limited flavor for grown-ups were store out and makes us enjoy trying. Latest season-limited flavor is yuzukoshō. 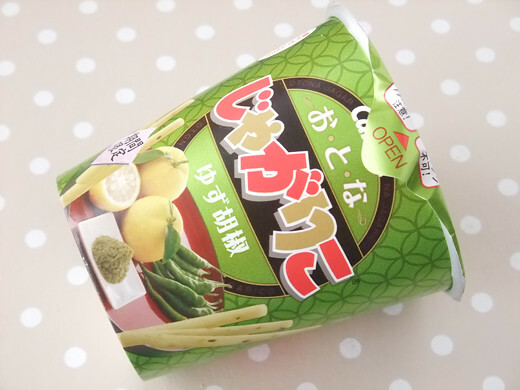 Yuzu citrus and chili pepper flavor is not very strong on this snack, however it is good. As always, its bar-code is funny! 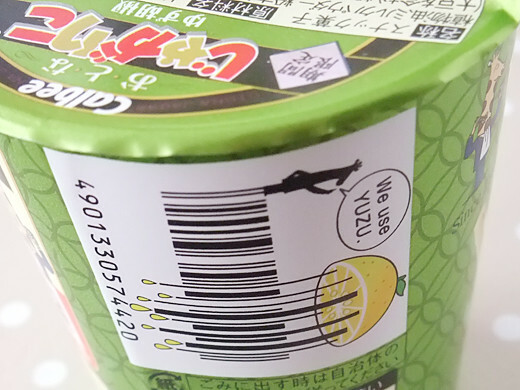 Squeeze yuzu for the snack!